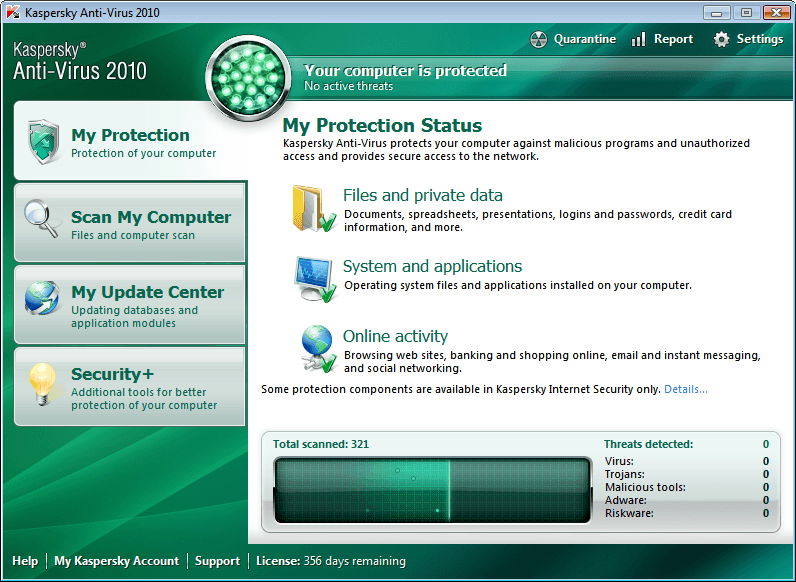 Kaspersky® Anti-Virus 2010 – the backbone of your PC’s security system - offers protection from a range of IT threats and provides the basic tools needed to protect your PC. Anti-spam and anti-phishing in e-mail programs Improved! 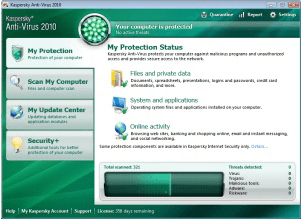 Access restriction to personal data for unsafe programs Improved!